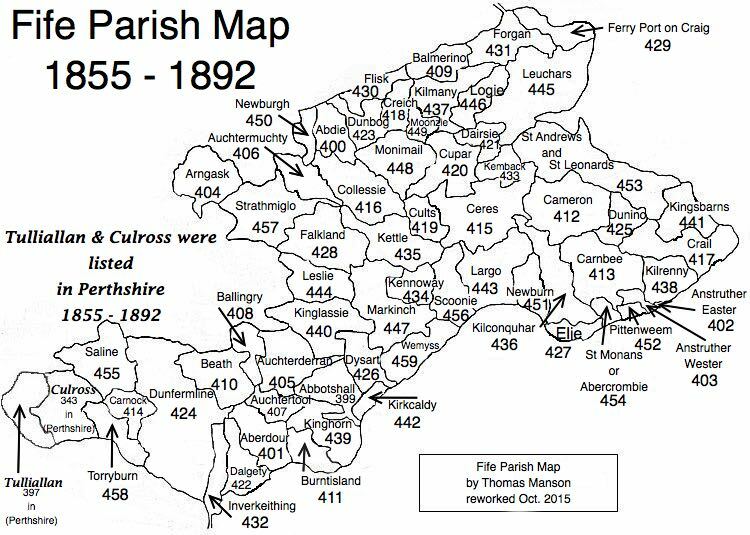 Parish of Carnbee – The Fife Post………..for genealogy and historical information. CARNBEE, a parish, in the district of St. Andrew’s, county of Fife, 2 miles (N. N. W.) from Pittenweem. The ancient church has been replaced by a neat structure, erected in 1794. This parish seems to have borne the same name in Roman Catholice times when it was attached to the Abbey of Dunfermline. The name is derived from two Gaelic words, carn and bee, the first signifying birch and the second hill. The parish is crossed by two major and one lesser turnpikes. The parish is divided north to south by a high ridge. The soil of the southern half is well suited to cultivation but the soil of the northern half is better suited to pasture. The parish is well supplied with springs of excellent water. Coal is found at several places and there are at present two collieries—one at kellie and another at Cassingray. Limestone is also found and wrought at various places, and there are several excellent freestone quarries. There are two corn (grain) mills and one lint mill in the parish. The parish is strictly agricultural and there are 32 farms ranging from 40 to 390 acres. The church is not central, being near the eastern extremity of the parish. It was built in 1793 and seats about 500. The chapel at Largo Ward affords accommodation to the inhabitants of the north-west part of the parish. There has not hitherto been any dissenting meeting-house in the parish, the few Dissenters who reside within the bounds of the parish attend the Relief chapel at Pittenweem or the Burgher chapel at Largo Ward. A Free Church meeting-house is at present begin erected at Arncroach. There is one parochial, one private, and one female school. The above extract is taken from the account written in December 1844.